Armagh’s grip on the Anglo Celt Cup remains a firm one after they saw off Fermanagh in today's semi-final replay, winning by 0-16 to 1-08 at Clones. The Orchard men, aiming to become the first side to gain a hat-trick of Ulster titles since Down did so in 1961, led 0-07 to 0-06 at the break thanks to a late point from Paddy McKeever. Fermanagh pegged them back with Ciaran O’Reilly’s 49th-minute goal but Armagh kept up a metronome-like scoring rate to set up a July 9 clash with Donegal. The Ernesiders ended the game down to 14 men as defender Shane McDermott was sent off for striking Malachy Mackin in the 67th-minute. 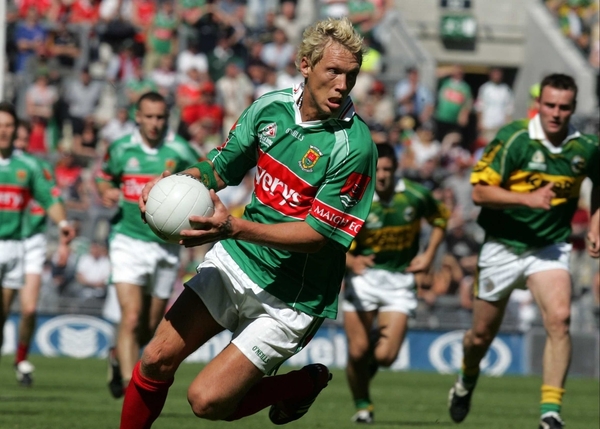 A sun-splashed St. Tiernach's Park crowd of 24,251 saw Fermanagh struck a sizeable blow when midfielder Liam McBarron was forced off with an injury in the early stages. Tom Brewster did score a free for the Erne men to open the scoring, but that proved to be their only point for the first 15 minutes. Oisin McConville, Paddy McKeever, Mackin and Ciaran McKeever waded in with scores to push Armagh into a 0-04 to 0-01 lead. But suddenly Fermanagh's attacking lines clicked into gear with Mark Little firing over three times and Brewster (free) and Eamon Maguire also on target. Fermanagh took in the half-hour with a 0-06 to 0-04 advantage, but a short burst of powerful play from the defending champions saw them turn around with a single-point lead. Paddy McKeever started it with Armagh's first point for 18 minutes, then Ronan Clarke swung over a monster score and McKeever added a free in injury-time for a 0-07 to 0-06 scoreline. McConville and Clarke made it five on the bounce for Armagh when they struck the opening two points of the second half. Then came O'Reilly's goal and a good one it was too as Little and corner back Ryan McCluskey combined in a flowing move. The final pass put O'Reilly in ahead of his marker Francie Bellew and he mustered an excellent finish past Paul Hearty. However Fermanagh could only add two more points from James Sherry and O'Reilly (free). The closing quarter-hour saw Armagh in fine fettle with Steven McDonnell (0-02), McConville (0-02), Martin O'Rourke and Clarke all pointing before Aaron Kernan became the eighth Armagh player on the scoresheet with the clincher in injury-time. McConville equalled the Ulster SFC scoring record of Tyrone legend Peter Canavan (218) thanks to his four-point haul. 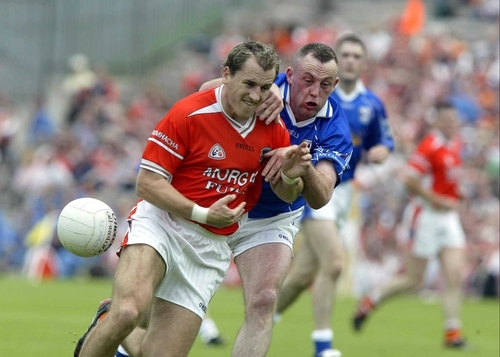 Armagh: P Hearty; A Mallon, F Bellew, E McNulty; A Kernan (0-01), C McKeever (0-01), P Duffy; K McGeeney, P McGrane (capt); P McKeever (0-03 (1f)), S Kernan, M Mackin (0-01), S McDonnell (0-02), R Clarke (0-03), O McConville (0-4 (3f)). Subs used: M O'Rourke (0-01) for S Kernan, T McEntee for P McKeever, A O'Rourke for Bellew. Fermanagh: C Breen; R McCluskey, B Owens (capt), S Goan; P Sherry, H Brady, S McDermott; L McBarron, M Murphy; M Little (0-03), T Brewster (0-02 (2f)), E Maguire (0-01); C Bradley, S Doherty, C O'Reilly (1-01 (1f)). Subs used: J Sherry (0-01) for McBarron, R Johnston for P Sherry, R Keenan for Bradley, M McGrath for McDermott, McDermott for Murphy.